Application Fee: Original Treasury Receipt for Rs.250/- (Rs 150/-for SC/ ST/ OBC/ MOBC candidates) as Application fee showing the name of the post and deptt. 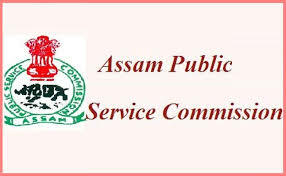 and also full Head of Account “ Non tax Revenue, OTHER NON TAX REVENUE 0051 PSC, 105 STATE PSC Application fee receipt of Assam Public Service Commission”. The last date of submission of duly filled up application Forms accompanied by all particulars to the Commission’s office is fixed on 4/4/2018. Labels: Central Government Jobs , Jobs in Assam PSC.